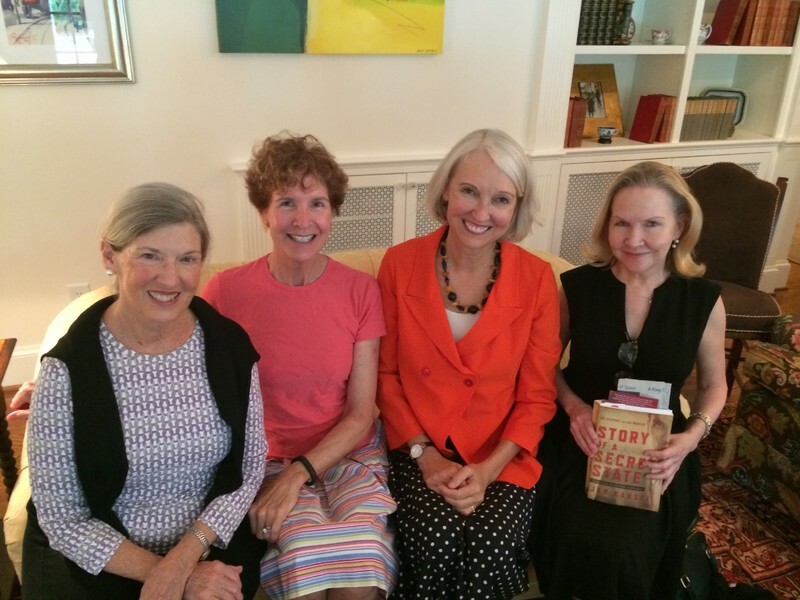 Jan Karski's depiction of the anti-Nazi Polish Underground Resistance in Story of a Secret State fascinated members of the GRITS book club at its first meeting of the season on September 8 at the home of Linda and Rob Grew. 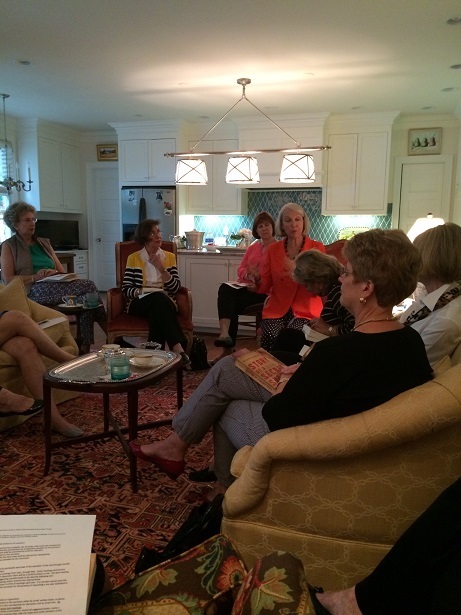 Jan Karski Educational Foundation President Wanda Urbanska made a presentation about the book, the Karski legacy and the goals of the foundation to a group of engaged women who were stunned and fascinated by the book -- and dismayed that they'd never before heard of Karski. "This is by far the best book this club has ever read," said Pandora Shaw after the meeting. "And I've been a member for ten years. Everyone in America should read this book." Karski has that rare ability to "humanize" the War experience, added Hadley Hines. "Story reads like a work of fiction and yet it's real." Hines, who was a student of European history in college, regrets that she wasn't exposed to Karski decades ago. "I wish I'd been required to read this book in college." Urbanska posed trivia questions from the book to the group, pointed to the light that the Polish political experience can shed on such geopolitical hotspots as Ukraine, and suggested additional resources about Karski and Poland, including the E. Thomas Wood biography, Karski: How One Man Tried to Stop the Holocaust, and Karski's second book, The Great Powers and Poland. A number of members expressed an interest in visiting Poland as well as reading more books by and about Poles.